On Jan. 15, Aspen's National Commission on Social, Emotional, and Academic Development released a report, From a Nation at Risk to a Nation at Hope: Recommendations from the National Commission on Social, Emotional, & Academic Development. 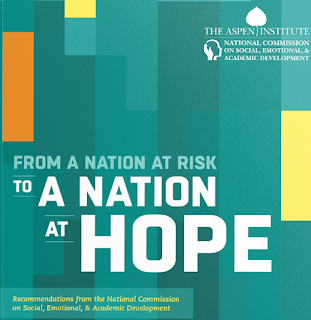 This report calls on all of us to ensure that all youth have access to quality social and emotional learning (SEL). We advise anyone who works with youth, whether in the classroom or in the community, to read this report. 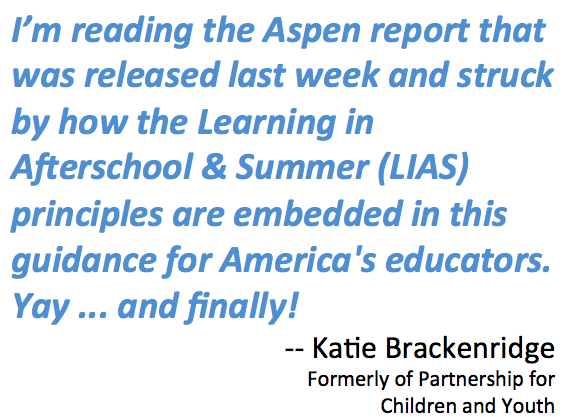 View the full report and its complementary research, practice, and policy briefs at NationatHope.org. 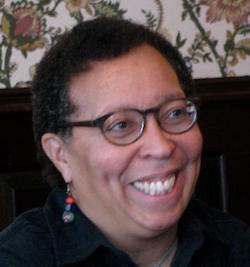 When we interviewed Karen Pittman (Forum for Youth Investment and Aspen Report Commissioner) for the History of Afterschool documentary, we asked her about the rise of SEL and where afterschool fits in. She responded, “The concept of social, emotional and academic development has really sort of come to a frenzy in the past couple of years. It's certainly come to the attention of schools over the past decade. 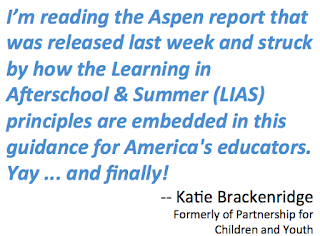 Unfortunately, because we've been calling this youth development, when the K-12 field started to say, ‘We need to do social and emotional learning’, they were developing specific curricula around social and emotional learning, and we have a little bit of a language difference with K-12. Ms. Pittman also issued a letter to youth development leaders and funders regarding how best to leverage this report by the commission. You can read it here. You can also read commentaries by New York Times columnist David Brooks, by Rick Hess and Tim Shriver, and by Chester Finn.